SEATTLE, June 26, 2017 /PRNewswire/ -- Leading fashion specialty retailer Nordstrom, Inc. announced the launch of its 2017 Anniversary Sale marketing campaign, which debuts today in the U.S. and Canada. The company partnered with six artists, designers and stylemakers as brand ambassadors for the sale, which takes place from July 21 through August 6. Anniversary Ambassadors include Russell Wilson, co-founder of Good Man Brand, entrepreneur, Super Bowl Champion and Franchise NFL Quarterback; Ashley Graham, model, body activist, author and designer of Ashley Graham lingerie; actor, singer, dancer and author Taye Diggs; actress and aspiring recluse Hana Mae Lee; choreographer and dancer Keone Madrid(with wife and dance partner, Mari); and artist and textile designer Kindah Khalidy. The company looked for a diverse group of individuals who are renowned in their field, passionate about what they do and thought would appeal to customers. The Nordstrom Anniversary Sale originated in the 1960's and is the company's biggest event of the year featuring brand-new merchandise for men, women and kids at super-sale prices for a limited time – prices go back up after two weeks. "Our Anniversary Sale is one of the most exciting Nordstrom events of the year for our customers" said Nordstrom Executive Vice President and Chief Marketing Officer Scott Meden. "It's a sale like no other. We're thrilled to make it come to life with this campaign, and to showcase new arrivals from our hottest fashion brands in partnership with our ambassadors." 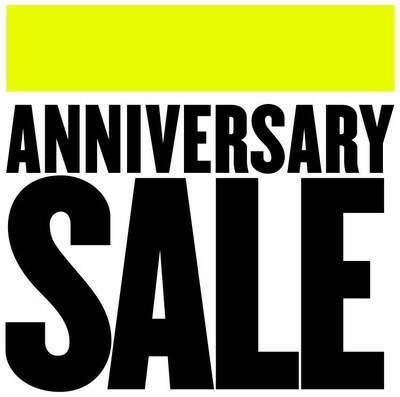 The campaign will feature sale picks from brand ambassadors in the Anniversary Sale catalog and online at nordstrom.com/anniversarysale. The campaign was shot in-house and also includes videos that will be posted on Nordstrom.com and the retailer's social platforms. Advertising components include digital, print, out of home, as well as store windows and in-store displays. "I love the Nordstrom Anniversary Sale because you can find all of the quality brands you love at such great prices," said Nordstrom Anniversary Sale Ambassador Ashley Graham. "I like to shop investment pieces, like designer bags and shoes, and it's also a great time to stock up on well-fitting bras because they are the foundation to every outfit." "This year I am especially excited for the Anniversary Sale," said Russell Wilson, Nordstrom Anniversary Sale Ambassador. "Shopping at Nordstrom is always fun and easy, and who doesn't love finding the newest styles of the season. What an honor for Good Man Brand to have been selected to be a part of this event alongside some the best and biggest brands in the world." To view additional images, videos and interviews with all six Nordstrom Anniversary Sale ambassadors, visit https://blogs.nordstrom.com/fashion/ and nordstrom.com/anniversarysale. Nordstrom first launched its Anniversary Sale brand ambassador campaign in 2016 and featured actress and designer, Melissa McCarthy; Dallas Wings point guard, All-Star player Skylar Diggins; actor, artist and activist, Rhi Blossom; activist and founding editor of SUNU: Journal of African Affairs, Critical Thought + Aesthetics Amy Sall; Australian model Fernanda Ly; YouTube star Joey Graceffa and musician Jon Batiste.